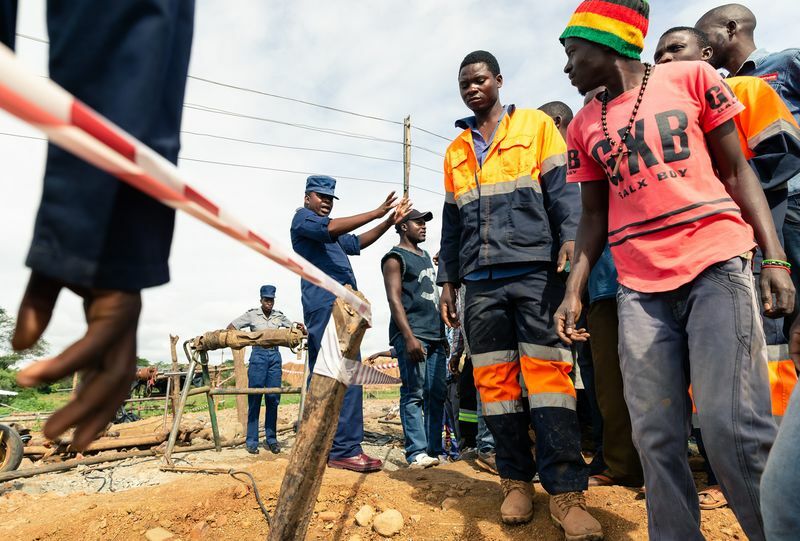 Eight informal Zimbabwean miners were pulled out alive four days after they were trapped underground when tunnels linking two gold mines collapsed. Search and rescue operation at Cricket Mine in Kadoma, Mashonaland West Province on Feb. 15. The eight miners survived by escaping to higher ground, he said, ruling the prospects of finding more survivors as unlikely. The state-run Herald newspaper reported on Saturday that about 50 to 70 artisanal miners were still underground. The informal miners were trapped at Cricket Mine, owned by RioZim Ltd., and a second mine that’s privately owned. Most of Zimbabwe’s gold is produced by small-scale miners, who mainly work in unsafe and disused mines. The country produced 33.3 tons of the metal last year.